In-Flight Safety has hit a milestone this year—they’ve officially been a band for ten years. “Ten years better,” says John Mullane, the band’s lead vocalist who also plays guitars and keys. He says this with a bit of a laugh. It’s the laugh of someone who knows that he shouldn’t get too full of himself despite the impressive achievement of existing as a band for a decade. Although the band has changed a bit in the last little while. While the band was for quite some time a four-piece, consisting of Mullane, drummer Glen Nicholson, bassist Brad Goodsell and keyboardist Daniel Ledwell, the band is now comprised of just Mullane and Nicholson. “It is hard to stay on the same page with five people as core members,” Mullane says. The band now hires friends who are awesome (Mullane’s words) for their live shows. The band’s origins, though, run back to Mount Allison University in Sackville, New Brunswick. Mullane had just finished university, while the other three founding members were in their first few years there. “Glen and I bonded over loving a lot of the same records at the time,” Mullane says. “So we kind of formed this club where we shared music and records.” This was the early 2000s, where jam bands like Dave Matthews Band were huge. Mullane says he and his band-mates-to-be instead bonded over their love of Swedish pop, UK bands and the sonic landscapes of Sigur Rós. “It just sort of evolved into an obsessive need to jam on stuff,” Mullane continues. “And then we started writing stuff. And then just decided to get better at it, so we wrote or practiced obsessively. The band got a big boost to their confidence early on in their career. They happened to befriend Canadian musician Emm Gryner (known most recently for her work with the stellar Trent Severn) who in turn happened to sing backups with David Bowie on a tour. Gryner caught the band at a show in Moncton, bought all of In-Flight Safety’s hand-crafted CDs (“Do people still do that? Is it is a thing?” asks Mullane as he tells this part of the story). Then she sent one CD to David Bowie. That was certainly all the validation the band needed. They went on to release that self-made demo, Vacation Land, as their first official release. They would go on to release two albums, Coast is Clear and We Are An Empire, My Dear. Mullane definitely feels like each release has been slightly different than the previous one. “We find a slightly new aesthetic per record,” he says. “I know a lot of bands say that, but I think, pseudo-objectively, we do that.” He goes on to call Vacation Land “six-and-a-half minute [long] alt-country meets Sigur Rós and Wilco,” Coast is Clear “‘song songs’ that are done in a more UK style” and We Are An Empire “a Spartan version of what we do.” The latter record was strongly influenced by the band listening to a lot of Band of Horses. Mullane is pretty busy these days with the new album, but he’s also been highly active in Halifax’s music scene. 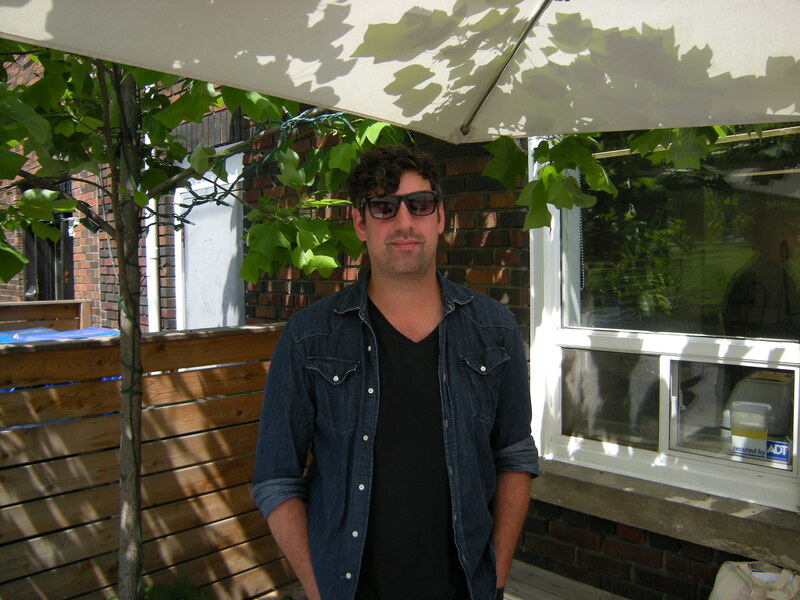 While it is a huge producer of musicians, Mullane describes Halifax as a small town. Mullane has worked with a slew of artists, playing on some records and often producing and mixing them as well, with acts like Dance Movie, The Mountains & the Trees and Andy Brown. He’s also acted as a mentor to bands like Repartee, whom he had high praise for. As might be expected, Mullane has a lot of musical friends. He’s made many of them in Halifax, but also has long friendships with bands like Yukon Blonde and Library Voices, whom they have toured extensively with. With 10 years under their belt and a new album on the way, In-Flight Safety are set to make many more friends in the near future.